The fans pick: Yeah!It would be nice. Do you think Yami is hot? The fans pick: Yeah!He's hot! Have you actually dueled someone at this card game? is there more episodes in the Japaneses then the English virshaen? 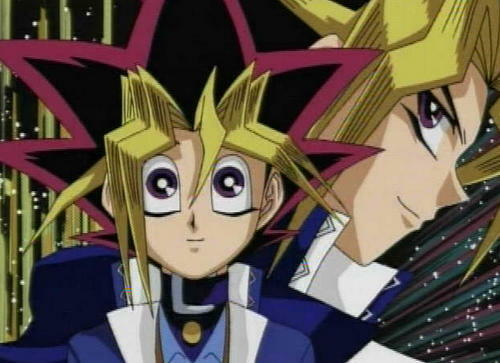 Yugi * shot from the bed * : n-no yami I am up see??? Yami * chuckled * I see now aibou.. now let's get you bathed shall we? Sitting next to the jukebox in the diner, Yami Yugi smiled as the beginning notes of the song Don’t Rock the Jukebox began playing and Alan Jackson’s voice began singing. Please sign! Pretty please! With a cherry on top! a comment was made to the poll: Should Pharaoh Atem have his queen?